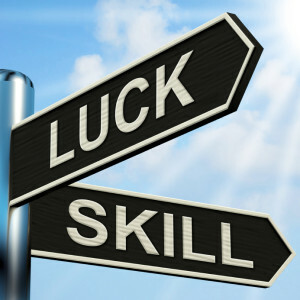 If you have followed online poker legal matters with any degree of seriousness, then you have likely heard the quintessential argument of “luck vs. skill” when it pertains to online poker. Ever since the passage of the UIGEA in 2006, poker supporters have argued that the game is a true contest of skill and does not constitute as illegal gambling in any form. With the New York state legislature likely to debate the issue in 2015, we thought it would be a good idea to revisit this argument. While you will often hear poker players bemoan their luck when they suffer a bad beat, the majority will also argue to the death that luck alone will not make you a winning poker player. Successful poker players know that the game is much more than playing your cards. Playing your opponents is much more important and has been proven repeatedly in poker tournaments. Phil Ivey and Daniel Negreanu have not enjoyed poker success because they get better cards but because they know how to out play their opponents. Annette Obrestad once played an online Sit N Go on PokerStars where she intentionally blocked her ability to see her hole cards. Instead, she merely played her position and used her reads on other player to make decisions. Obrestad proceeded to win the Sit n Go and upon review of the hand history, it was clear that she played her opponents only as she in one hand folded pocket aces. While poker is indeed a skillful game, it does involve an element of chance that some think disqualifies it from being a game of skill. Tournament poker is a great example of this concept. As a tournament progresses, poker players are sometimes forced into situations where they must rely on luck in order to survive. Coin flipping for one’s tournament life is a common occurrence and many times necessary to survive. Seldom does a player go through a tournament without going all-in and either find themselves flipping or an underdog and having to catch lucky to advance. Over the long term, skill does win out but elements of chance can impact individual hands. Otherwise, there wouldn’t be bad beats. This element of chance doesn’t exist in true games of skill such as chess. A Virginia judge once ruled that while the game may be skillful, the outcome of each individual hand is undetermined and can be subject to an element of chance. As much as we would like the luck vs. skill argument to be the final answer to online poker legalization, it is ambiguous and will likely never be a deciding factor in the U.S. for legalization. Poker players know that poker is a skillful game but we are also smart enough to know that luck plays a small factor at times. Rather than focus on luck vs. skill, we should focus on the benefits of online poker to states in the form of tax revenue and education funding. These are points much more likely to persuade lawmakers. Tagged luck vs skill, New York Online Poker, online poker legalization. Bookmark the permalink.